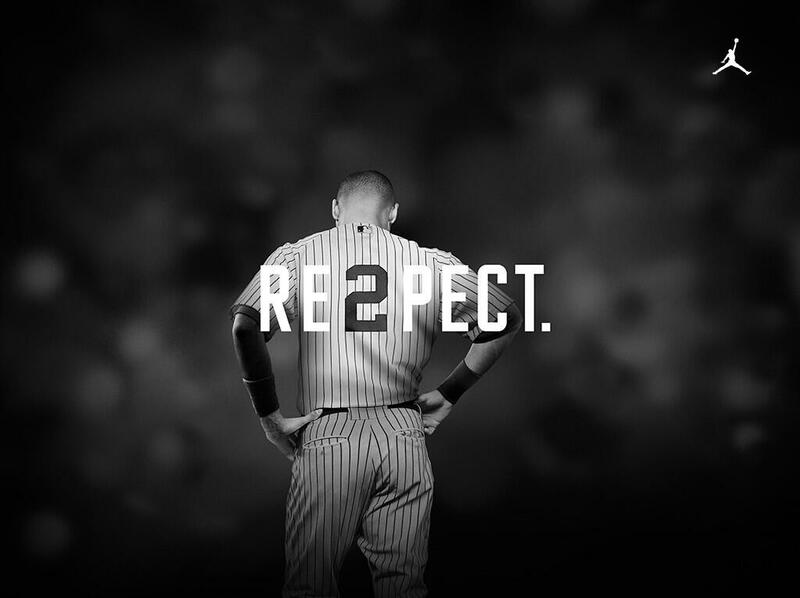 Make sure you look out for the new Derek Jeter ad from Jordan Brand tomorrow during the MLB All-Star Game. In the spot, a number of notable individuals tip their hat to the Captain: Rudy Giuliani, Jay-Z, John Lackey, Joe Torre, Mariano Rivera, Andy Pettite, rapper Action Bronson, skater Eric Kosten, Spike Lee, Jeanie Buss and Phil Jackson, Maya Moore, Carmelo Anthony, Tiger Woods and Billy Crystal. Derek Jeter was the first Jordan Brand-endorsed baseball athlete when he was signed in 1999. Other than Michel Jordan, Jeter is the brand’s longest-tenured athlete. With 12 signature cleats, Jeter has the most signature shoes of any Jordan Brand athlete other than Jordan. Print article This entry was posted by Art Eddy III on July 14, 2014 at 7:20 am, and is filed under Sports. Follow any responses to this post through RSS 2.0. Both comments and pings are currently closed.